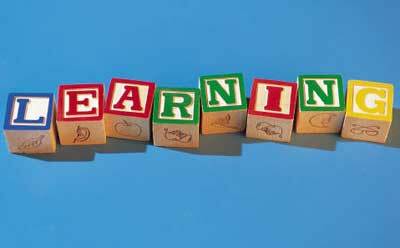 The NIU College of Education will host its annual Community Learning Series event Wednesday, March 26. All are welcome to attend “Breaking the Glass Ceiling: Women in Leadership and Education,” which will feature a panel of female NIU alumni who have achieved inspiring careers in leadership and education. A reception with heavy hors d’oeuvres begins at 5 p.m. at the Barsema Alumni and Visitors Center, 231 N. Annie Glidden Road. The panel discussion begins at 6 p.m.
RSVP to kbraser@niu.edu. For more information, call (815) 753-8434 or email pbaker@niu.edu. 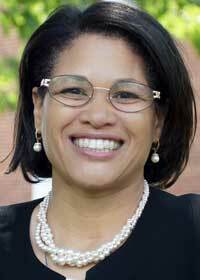 Charisse L. Gillett became the 17th president of Lexington Theological Seminary (LTS) in September 2011. She has more than 20 years of successful administrative experience in higher education, including service at Transylvania University, Midway College, Robert Morris College and the University of Northern Iowa. She holds a doctorate in education from NIU. A former moderator of the Christian Church (Disciples of Christ), she has been a commissioned minister of the Christian Church In Kentucky since August 2010 and is associate minister at East Second Street Christian Church (Disciples of Christ), where her husband, LTS D.Min. alumnus Dr. Donald K. Gillett, II, serves as senior pastor. Gillett served as vice president of administration and special projects at the seminary prior to her appointment as president. She is also a former LTS trustee and officer of the Board of Trustees. She is deeply committed to the church and the work of the seminary in shaping students for ministry. An energetic and dedicated leader, she works closely with a team of trustees, faculty, staff, students and congregations to grow the seminary’s new program, which is designed to serve the needs of the church while continuing the seminary’s storied history of shaping people for ministry. Gillett’s appointment is an historic one in the 146-year history of the seminary: She is the first woman and first African-American to lead the seminary as president. 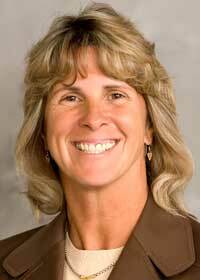 Cary Groth is the former director of athletics for the University of Nevada-Reno. During her time as director, the university’s athletics programs enjoyed enormous success, with all teams participating in postseason play. Teams captured 16 WAC championships, including five men’s basketball crowns, three women’s swimming and diving titles, three softball championships, two football titles and conference titles by women’s soccer, men’s golf and baseball. The program’s graduation success rate for student-athletes rose in each of her nine years as AD, reaching 80 percent in 2013. Teams turned in eight consecutive years of penalty-free academic performance in the NCAA’s Academic Progress Rates report. More than 600 student-athletes graduated during Groth’s tenure. Nevada was listed as one of the top athletics departments in the nation in providing opportunities for women in sports for seven consecutive years in the national Gender Equity Scorecard study, including two years as the country’s best in 2006 and 2007. Nevada has also been recognized by the Laboratory for Diversity in Sport at Texas A&M University for its accomplishments in the areas of diversity and was one of only 10 universities in the country to win the group’s Diversity in Athletics Award in 2005-06. During Groth’s tenure, program revenues increased in nearly every category, including season ticket revenue, sponsorships, royalties and licensing and concessions. Prior to joining the university in March 2004, Groth spent more than 20 years at NIU, including 10 years as director of athletics from 1994 to 2004. She was inducted into the Northern Illinois Athletics Hall of Fame in 2010. She was recognized in 2003 as the National Association of Collegiate Women’s Athletic Administrators Division I Administrator of the Year and the Women’s Basketball Coaches’ Association Administrator of the Year, and she served on the U.S. Department of Education’s Commission on Opportunity in Athletics in 2002-03. 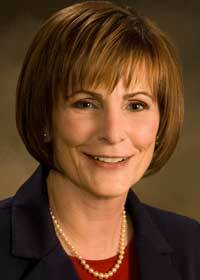 Christine J. Sobek became the fourth president of Waubonsee Community College on July 1, 2001. In this role, she is responsible for the overall leadership of the college. WCC serves more than 31,000 students each year, employs approximately 1,100 faculty and staff, and offers educational programs and services at a network of four permanent campuses located across the 624-square-mile college district and through extensive online offerings. Sobek has more than 35 years of community college administrative experience. Prior to her appointment as president, she served in several administrative roles at Waubonsee, including provost, executive vice president for educational affairs, assistant vice president for instruction, assistant vice president for student development and dean of student development. 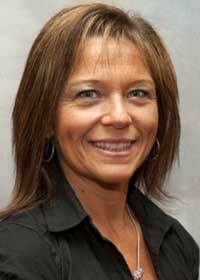 She joined Waubonsee in 1989 after 11 years of employment at the College of Lake County in Grayslake, Ill. Her leadership roles at that college included executive assistant to the president; director of personnel, affirmative action officer; and director of placement. She earned a doctoral degree from NIU, a master’s degree from Michigan State University and a bachelor’s degree, with highest distinction, from Purdue University. She is a member of Phi Beta Kappa and an honorary member of Phi Theta Kappa International Honor Society. Among her many awards are the Outstanding Alumni Award from NIU; the Shirley B. Gordon Award of Distinction from Phi Theta Kappa International Honor Society; an Influential Women in Business Award sponsored by The Business Ledger; and the Michigan State University College of Education Alumni Association Distinguished Alumni Award. Patricia Yadgir currently serves as vice president of American Quality Schools (ASQ), a nonprofit educational management organization that oversees 12 charter schools in Illinois, Indiana and Missouri. Her career spans many areas of educational leadership and board membership, including membership on the Illinois Human Rights Commission. Since she began with the charter school group in August 2009, Yadgir has supervised nearly all areas of development, programming and curriculum. She oversees the director of student services and special education, the regional academic officers, the daily operations of all corporate office staff and the director of human services. Yadgir previously served as executive director of AQS, where she supervised all deans, counselors, social workers, nurses and the director of special education. In this role, she was responsible for all compliance regulations in each state where the charter is held. In addition to her leadership duties, Yadgir is responsible for developing and overseeing summer professional development for the organization’s 500 employees, including academic and social emotional curriculum for all teachers, administrators and student service employees and implementing programs for AQS College, a service provided by the organization to offer professional development in various topics in and outside of the organization. Yadgir completed her M.S. Ed. in counseling at NIU in 1988 and her bachelor of arts in journalism in 1985. She received a certification in eating disorders and obesity in 2011. She is a member of the NIU Alumni Association Alumni Board, the Illinois Counseling Association, the Illinois Network of Charter Schools and the National Association for Counseling and Development.